Teesside University is delighted to announce business leader Paul Drechsler CBE as its new Chancellor. He becomes the university’s third Chancellor, succeeding Lord Sawyer of Darlington, who has served in the post since 2005. Mr Drechsler, who is president of the Confederation of British Industry (CBI), began his career on Teesside, working for ICI for 10 years. He then held various senior positions, living in Brazil, the USA and the Netherlands, which concluded with five years as Chief Executive of one of ICI’s principal international businesses and as a Main Board Director. 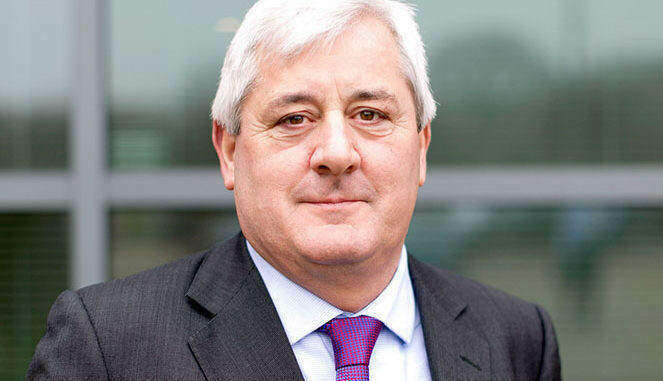 Mr Drechsler is currently chairman of Bibby Line Group and was previously chairman and chief executive of the privately-owned construction firm Wates Group. He will take up his position as Chancellor of Teesside University in the autumn. Professor Paul Croney, the university’s Vice-Chancellor and chief executive, said: “I would like to thank Lord Sawyer for his immense contribution to the University over the past 12 years. He has been a superb ambassador and he’s played an active part in university life, supporting our students and community. Mr Drechsler said: “I am honoured and delighted to accept the role of Chancellor at Teesside University and build on the excellent work of Lord Sawyer at what is a most exciting time in its history. The University is playing a vital role, clearly understanding the need to be at the centre of a thriving region, connecting with the community, the students and with local and international businesses. Mr Drechsler, who graduated from the University of Dublin, Trinity College, with an (Honours) degree in Engineering Science, is married with three children. He is also a member of The Global Advisory Council of Trinity College Dublin and a member of Advisory Council of the charity promoting Youth Social Action; ‘Step up to Serve’. Mr Drechsler is chairman of the board of the charity Teach First and a board member of Business in the Community and of the UK International Chamber of Commerce. He was also chairman of the National Skills Funding Agency until September 2015.